If you would like to be able to strip down and cover chairs and learn the basics of upholstery and have little or no experience then why not try a weekend course set in the heart of the Cheshire countryside in a totally relaxed atmosphere? The course is set in the beautiful Cheshire countryside. 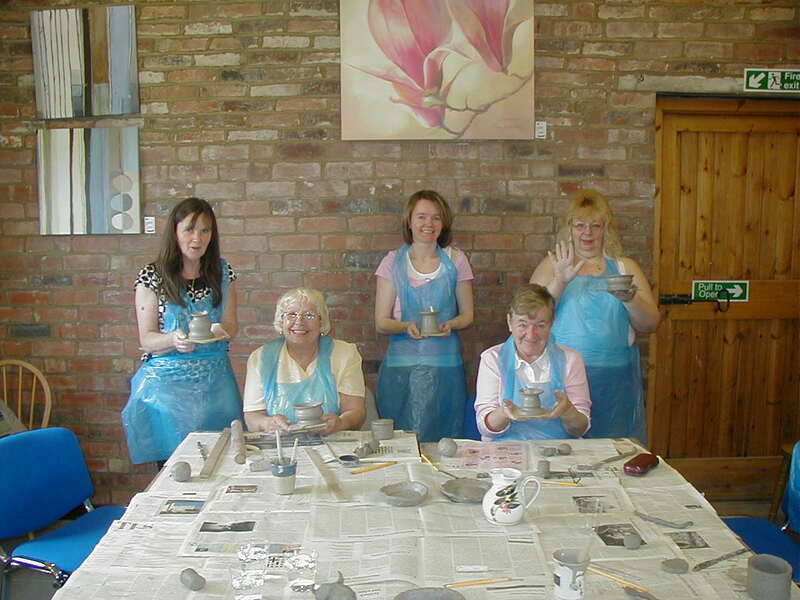 The class will take place on 2 days in a fun and friendly atmosphere. 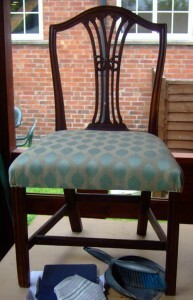 Start with something easy like a dining chair with a drop in seat or a pin cushion seat or small footstool. Please make sure that joints on chairs are not loose as there will not be time to repair the basic structure of the chair. During the course you will work on your own piece(s), at your own pace. All tools, refreshments and lunch are provided on the day. Dining chair, footstool, pin cushion chair, Stuff-over dining chair. All chairs should be sturdy and not require frame repair.